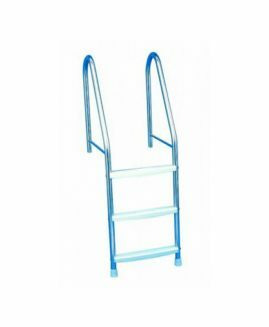 Ladders with handrails for embedded pool. Handrails manufactured in Ø 43 hand polished stainless steel tube. Steps in stainless steel or plastic. Its accurate and safety design avoids the possibility of slipping or cutting . Complete with fixing anchors and earth connection. 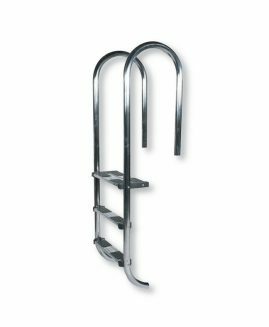 – LUXE Model: Handrails & steps in AISI-316. 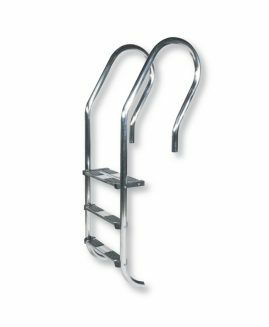 – STANDARD Model: Handrails & steps in AISI-304. 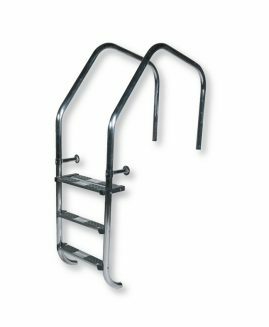 – PLASTIC Model: Handrails in AISI-304 & steps in PP+FV.